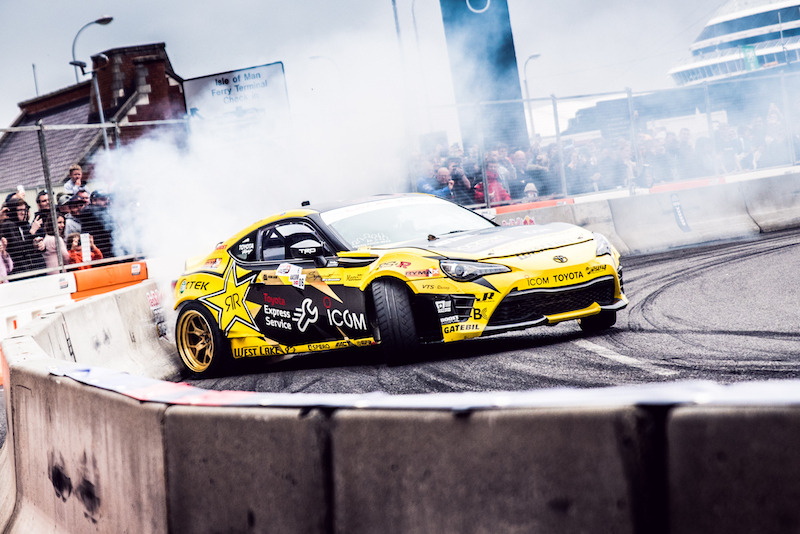 LIVERPOOL, UK (August 21, 2018) – This weekend’s landmark Drift Shifters event saw driver Fredric Aasbo score third in his Rockstar Energy Drink / Icom Toyota 86-X on the streets of Liverpool in northwest England. This year’s contest took place on the streets of Liverpool overlooked by the famed Royal Liver building between the Strand and Georges Dock Gates. Fans crowded along the fence lines to get a close view of the action while competitors sought to maximize their scores by sliding close to proximity sensors that lined the walls of a complex obstacle course. Drivers were rewarded for commitment and bravery as they brushed bumpers along track walls and slid at top speed past course features. Sunday’s competition included challenges like the “Undertaker,” a big rig truck that called for precision moves as drivers slid beneath its belly, and the “Angle Grinder,” a trackside sensor that gauged angle and proximity. A “Yellow Submarine” obstacle paid tribute to the city’s heritage as the birthplace of the Beatles. A challenging start saw Aasbo return to his crew after just 13 seconds of practice for a trackside differential swap to increase rear grip and control. The next time he saw the complex course he was on the clock, and he found himself forced to battle through the Last Chance Qualifier. With a strong performance under pressure, Aasbo became the first in the contest to top 5 million points for a single run. He slid through the Quarterfinal round in fourth, and ultimately landed third overall after nailing the final slide into the finish box but leaving precious seconds on the clock. The brainchild of Kiwi drifter “Mad” Mike Whiddett, it is the first time that Drift Shifters has taken place in the Northern Hemisphere. The event debuted in Auckland in 2012. While Aasbo scored third place, the win went to Gaz Whiter from New Zealand and American Forrest Wang finished second. 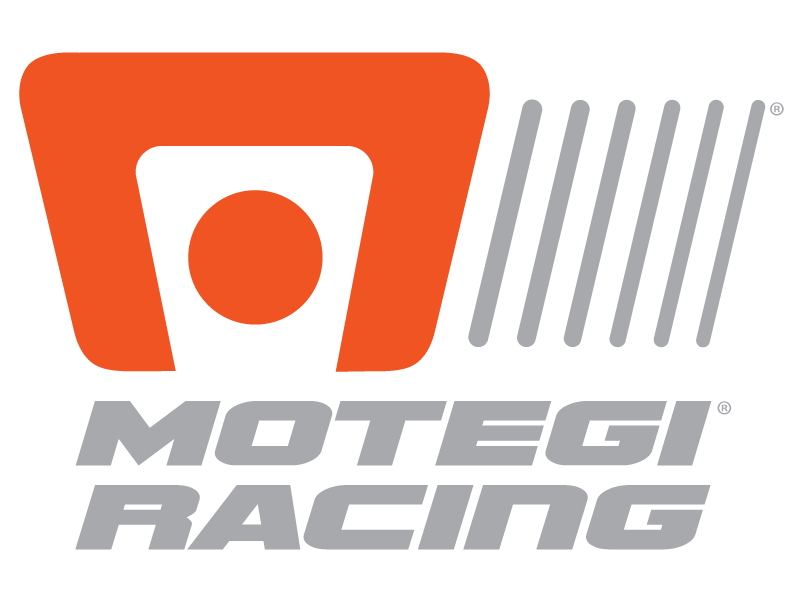 Additional drivers competing in the event included Whiddett, Irish driver James Deane, Japan’s Masato Kawabata, and Polish competitor Piotr Wiecek. The event was livestreamed, with a shared stream on the Toyota Great Britain Facebook page. Aasbo was also online on Sunday on Instagram Stories for Toyota GB. Media attention for the event was extensive, including several newspaper features and widespread television coverage. This coming weekend, Aasbo will make an appearance on track at Road Atlanta for Gridlife South driving the Rockstar Energy Drink / Nexen Tire Toyota Corolla Hatchback. Aasbo returns to the Formula Drift series in 2018 for a full season in a brand new Rockstar Energy Drink / Nexen Tire Toyota Corolla Hatchback, while also running a select season of events in Europe in the Rockstar Energy Drink Icom Toyota 86-X, and drifting championship events in Asia. Previous Post Fredric Aasbo opens 2018 Formula Drift season with victory Next Post What is Flow Form Technology? Check out professional driver Corey Hosford as he explains the advantages of FFT.